​NOW--January 15th, 2019. The deadline date is firm, no extensions or exceptions. Any branch of Service, past or present, home or abroad, war time or peace time is eligible. Round 2 of the Hometown Heroes Banner Project was completed with the dedication on Memorial Day 2018. 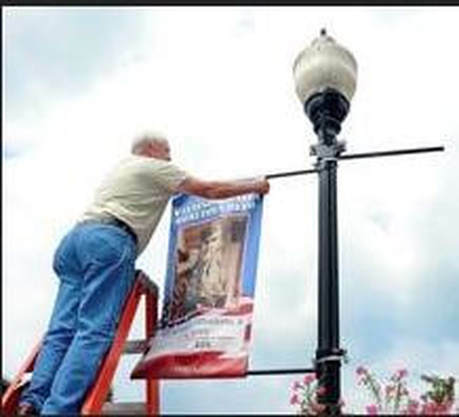 Round 1 plus Round 2 banners make a total of 42 Banners proudly displayed on the Streets of Youngsville. One of the most interesting things derived from the project has been the stories collected about the honorees. Now, the committee is working on Round 3 scheduled to be installed for Memorial Day 2019.